In this extensive update of his definitive reference, Charles D. Michener reveals a diverse fauna that numbers more than 17,000 species and ranges from the common honeybee to rare bees that feed on the pollen of a single type of plant. 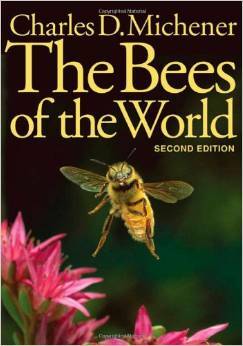 With many new facts, reclassifications, and revisions, the second edition of The Bees of the World provides the most comprehensive treatment of the 1,200 genera and subgenera of the Apiformes. Included are hundreds of updated citations to work published since the appearance of the first edition and a new set of plates of fossil bees. The book begins with extensive introductory sections that include bee evolution, classification of the various bee families, the coevolution of bees and flowering plants, nesting behavior, differences between solitary and social bees, and the anatomy of these amazing insects. Drawing on modern studies and evidence from the fossil record, Michener reveals what the ancestral bee—the protobee—might have looked like. He also cites the major literature on bee biology and describes the need for further research on the systematics and natural history of bees, including their importance as pollinators of crops and natural vegetation. The greater part of the work consists of an unprecedented treatment of bee systematics, with keys for identification to the subgenus level. For each genus and subgenus, Michener includes a brief natural history describing geographical range, number of species, and noteworthy information pertaining to nesting or floral biology. The book is beautifully illustrated with more than 500 drawings and photographs that depict behavior, detailed morphology, and ecology. Accented with color plates of select bees, The Bees of the World will continue to be the world's best reference on these diverse insects.